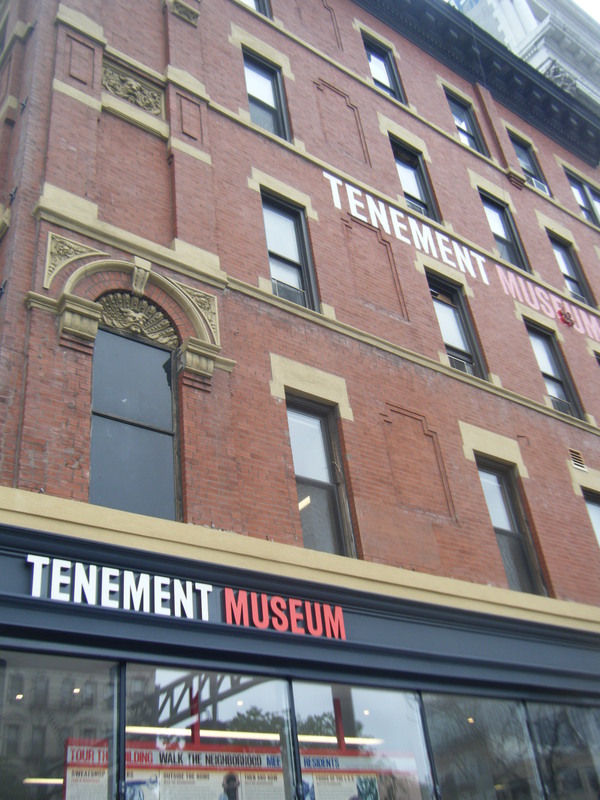 The Tenement Museum has been on my radar since taking Museum Studies classes with Dr. Robert Connolly and Dr. Leslie Luebbers at the University of Memphis. It has been a beacon for community involvement and innovative programming, and it continues to be a pioneer for HISTORY museums in reaching out to populations with disabilities. I was elated when Sara Litvin, an educator at the museum, responded to my emails and agreed to meet with me at the museum during my research trip. In May, I ventured down to the Lower East Side and experienced 97 Orchard Street for myself. The museum tells the stories of the people who lived in the tenement building on Orchard Street in the Lower East Side of Manhattan. 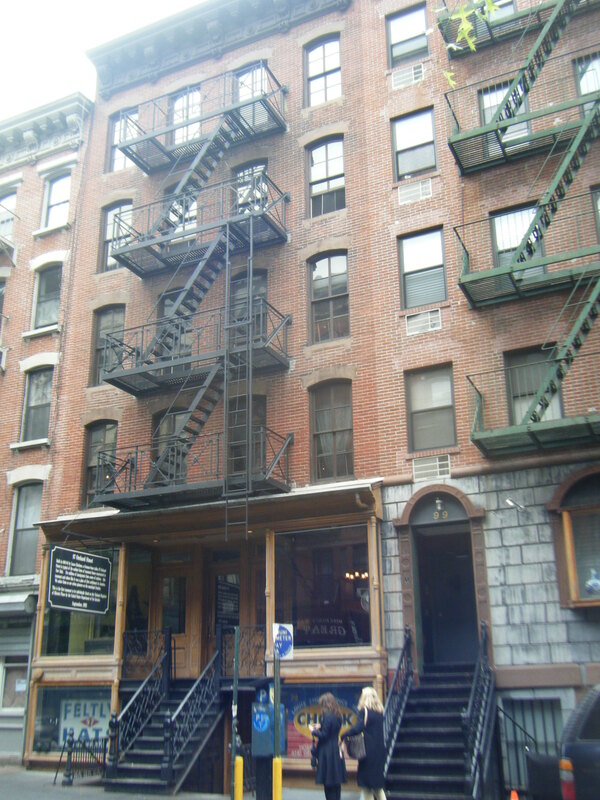 The mission of the museum is, “The Tenement Museum preserves and interprets the history of immigration through the personal experiences of the generations of newcomers who settled in and built lives on Manhattan’s Lower East Side, America’s iconic immigrant neighborhood; forges emotional connections between visitors and immigrants past and present; and enhances appreciation for the profound role immigration has played and continues to play in shaping America’s evolving national identity.” (http://www.tenement.org/about.html) This mission is seen throughout the museum and the programs and events offered by the museum. Visitors may only visit by taking a guided tour of the building. The museum offers many tours including, Hard Times, Sweatshop Workers, Irish Outsiders, and Exploring 97 Orchard Street. They also offer school group tours, and community involvement opportunities. I attended the Sweatshop Workers tour on my visit to the museum. It was a rainy, overcast day when I visited, which seemed a fitting atmosphere for visiting this historic site. 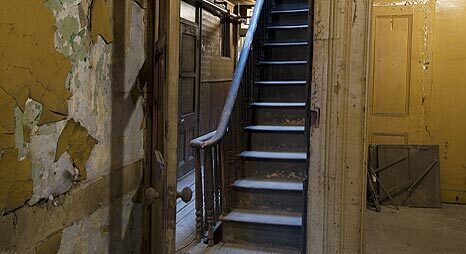 We began by walking up the steps of the tenement at 97 Orchard Street into a dark hall. The tour group then climbed the steps, holding on to the original banister that so many people in the past had held before us. We continued on to the Levine family apartment, which was used not only for living, but also for running the family’s garment industry business. 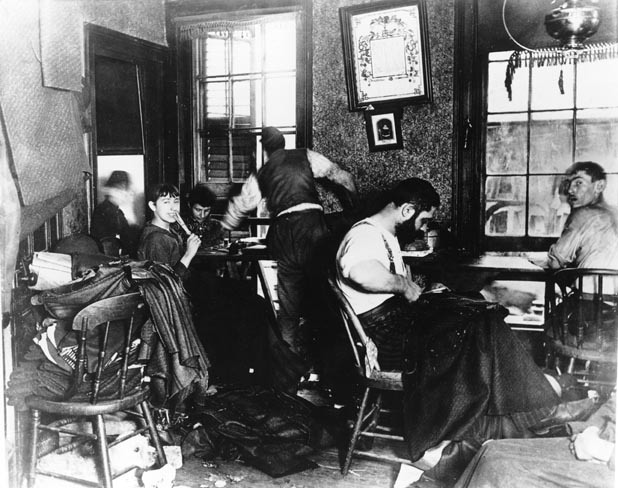 We looked at primary documents related to the neighborhood, garment industry, and reforms, and also looked at the artifacts and furnishing that were typical to tenement family rooms. Next we went to the Rogarshevskys apartment to learn about the Jewish family and their struggles with keeping the Sabbath while their daughters were employed in garment factories that required them to work on their Holy Days. Standing in the same building where these people from the past lived and worked, looking at the artifacts they used each day, and hearing the sounds outside the tenement evoked feelings that wouldn’t be possible in another location or artificial setting. This brings up the question of, how do people with special accessibility needs experience this site to the same degree as those who are at the physical location? 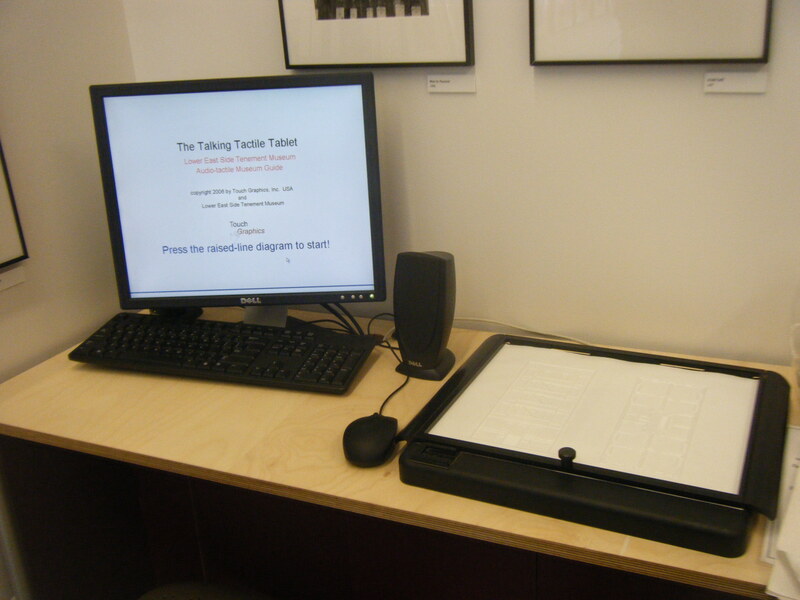 The accessibility section of the museum website offers touch tours for people with sight impairments and sign language tours for people with hearing impairments. The orientation film is captioned for those with hearing impairments, and braille and large print versions of primary sources are also available upon request. 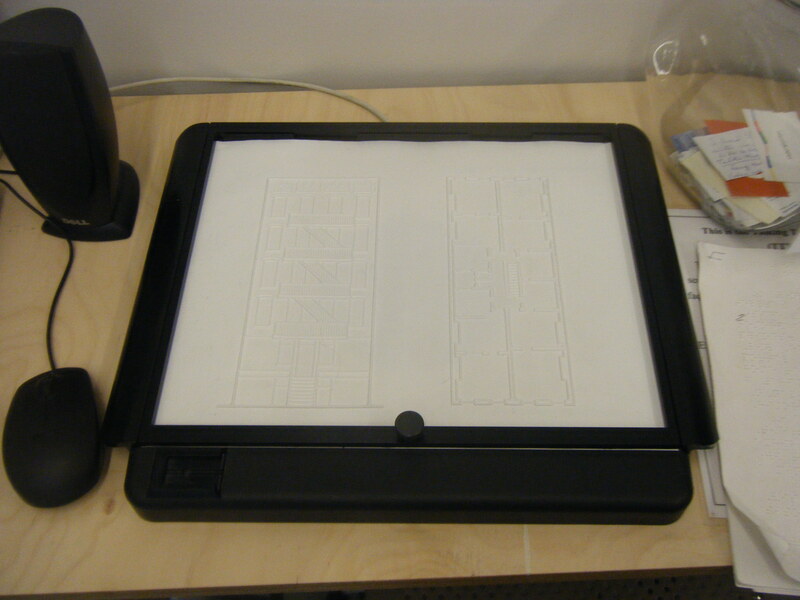 Additionally, in the Visitor Center, there is an “Accessible Learning Center” which includes a talking tablet and a tablet with a raised façade of the main building and floor plans for people with sight impairments to “see.” I really enjoyed the tactile tablet, in spite of being able to see the site and the building. It explains various aspects of the museum that weren’t explained on my tour. This is yet another example of the positives of universal design… the product is designed for those with disabilities, but the entire population can benefit from it. I can also see this as an interactive that (supervised) children could enjoy when not being utilized by the intended population. The historic building offers many challenges to people with disabilities, especially those with physical disabilities or difficulties. The front building is accessed by several steep steps to the front door, and once inside, visitors are greeted by the original, old wooden staircase which must be traversed to experience the guided tour. The website does offer other opportunities for those using wheelchairs or other implements, including, a new exhibit opening in 2012 called, “Shop Life”, which will explore the many businesses housed at 97 Orchard Street. This will be the Museum’s first-ever wheelchair-accessible exhibit at 97 Orchard Street. The exhibit is still under construction at this time, but updates are available on their blog, including this one about construction progress. The event called, “Tour the Neighborhood” is wheelchair accessible, and during the winter, the “Foods of the Lower East Side” is held in a wheelchair accessible room. Additionally, the Visitors Center is has universally designed elevators and restrooms on the ground level. More information about accessible features at the Tenement Museum are available online by clicking this link. Really, there is a ton of information on their website and blog, and I could spend hours research and telling you all about it. I’m not going to do that, but you should check it out!! The website does not address programs for children with special needs (which is central to my research), but in my discussions with Sara at the museum, I did learn a lot about the opportunities they are taking advantage of and fine-tuning to reach that audience. 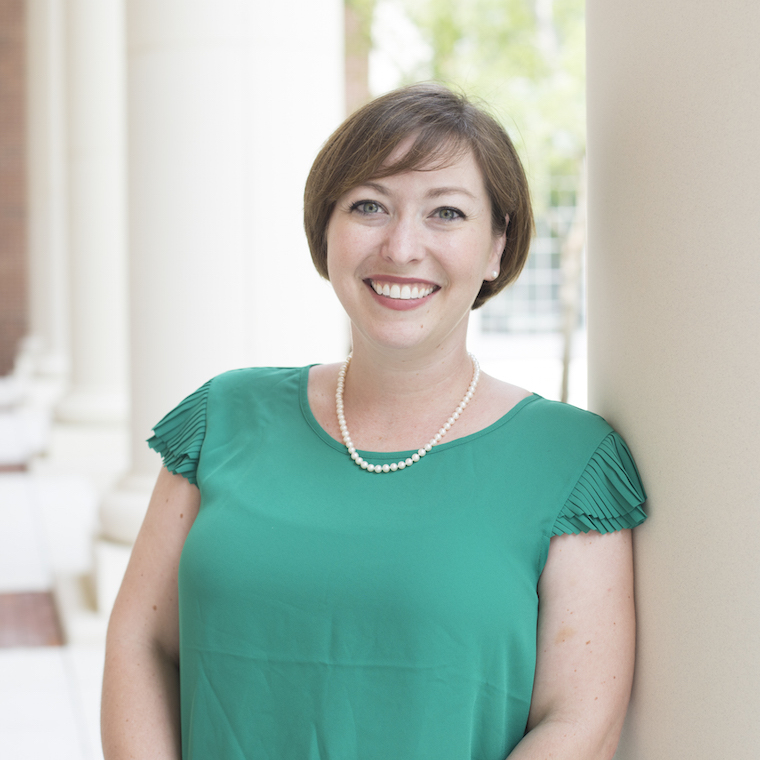 In general, their programs are modifications of the programs that are already in place rather than all-new programs developed for students with special needs. The next blog post I will publish will be a Q&A on museum programs and disability with Sara Litvin from the Tenement Museum. I’m sure the good people at the Tenement Museum didn’t tell you about us! We’re the family at 99 Orchard St. The vicious regime at the Museum enlisted government to forcibly evict us from our home. The Museum’s very good at burying this story. Their attempt to steal our property using”eminent domain” was a nightmare. But we fought them, and won. Accessibility as a reason for us to be forced out. Tenement Museum is not all it’s cracked up to be. They are guilty of serious misconduct, and a vicious and immoral attack on us. It has not been forgotten. One last thing, your photo of the”historic” Museum front also features our property,so coveted by the Museum!